Join us as we celebrate the launch of Women Entrepreneurs of Upstate, SC! This kickoff event, the first of 4 to be held this year, is FREE for members only. Members, please reserve your seat below. Guests may purchase a $25 ticket below or click here to learn more about membership and to apply. Members, CLICK HERE to reserve your (FREE) seat. A well-functioning ecosystem fosters the mission of Women Entrepreneurs of the Upstate by facilitating knowledge exchange. It’s the only true short cut to organic mentorship, education and skill development. An ecosystem requires people who are willing to commit, connect and collaborate. It enables onramps that provide entrances into the system that would otherwise have been difficult to find or navigate. The intentional intersections foster more valuable interactions and access to ideas and resources. 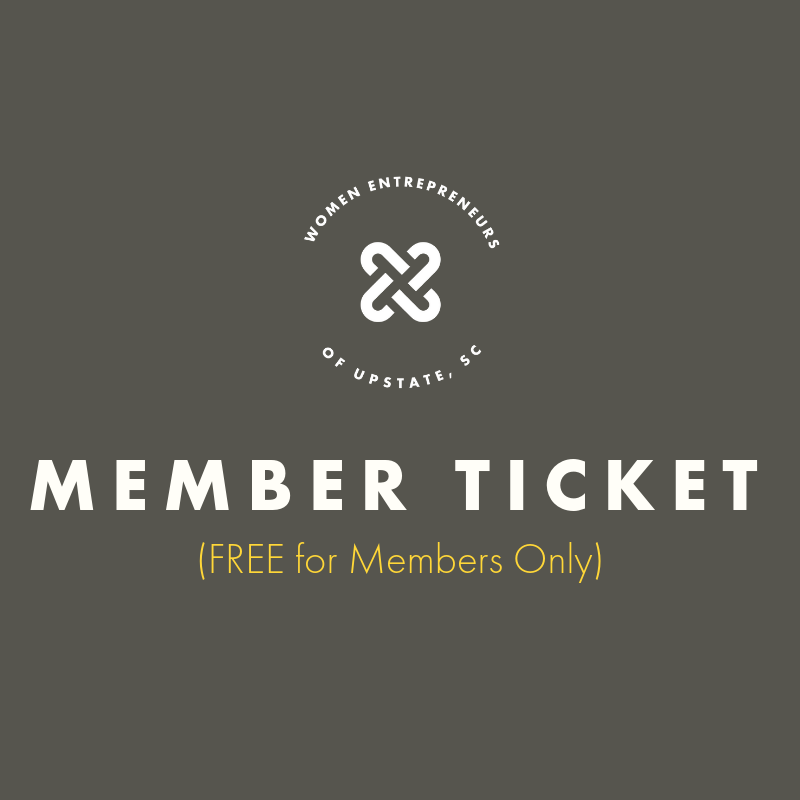 Women Entrepreneurs of the Upstate has the opportunity to create a culture of trust amongst our women business owners that makes collaboration, cooperation, reciprocity and the focus on a common good part of all we do, without it being intentional, in the end. Erin works regularly to support entrepreneurship in the Upstate, both as Director of the VentureSouth Spartanburg angel investor group and as the leader of the Economic and Entrepreneurial Vitality focus area for Ten at the Top. She is leading members of the entrepreneurial ecosystem on a journey to strengthen and grow our Upstate ecosystem. Through Erin’s efforts, Ten at the Top and the Spartanburg Area Chamber of Commerce recently hosted Andy Stoll, the Kauffman Foundation’s lead entrepreneurial ecosystem expert for a keynote luncheon for regional stakeholders and a workshop for ecosystem partners. She attends the Kauffman Foundation’s ESHIP Summits on ecosystem development with over 600 builders from around the world and participates in a work group to support Universal Awareness of ecosystems.